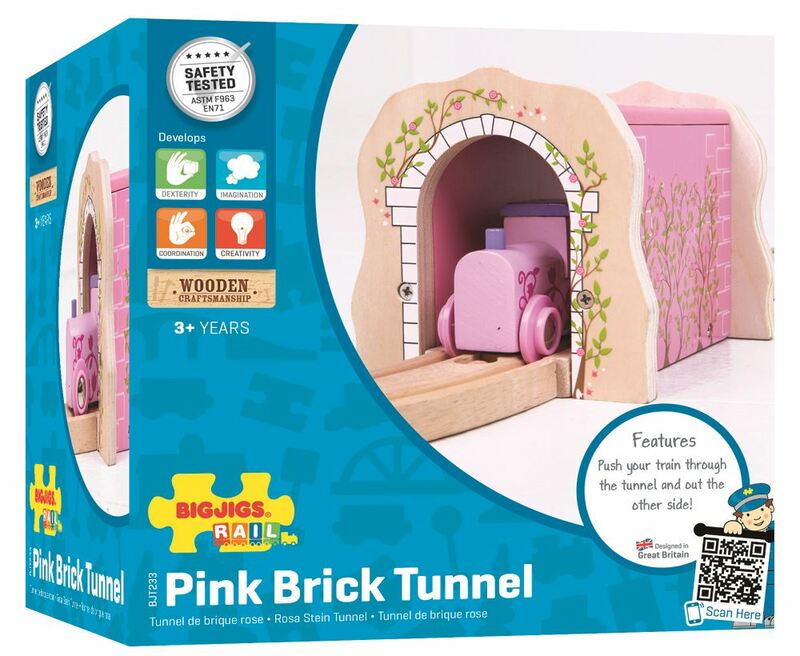 Featuring attractive brick and vine detailing this pretty Bigjigs Rail Pink Brick Tunnel is a delightful addition to any wooden train set. Youngsters can push their trains through the tunnel and watch them chug out of the other side. Age 3+ years. Compatible with most other wooden railway brands. Distributed in New Zealand by Holdson.